If you are an absolute beginner then MongoDB Basics is the go-to book for sharpening your knowledge on the subject. Right from how non-relational database differs traditional database to new age geospatial indexing, it has everything and much more on MongoDB. 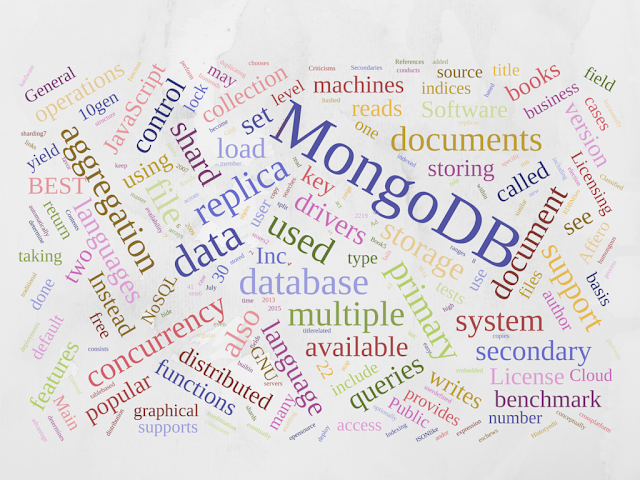 Once you have started out, you may face mounting complexities in application development using MongoDB. This book is precisely for these hands-on developers. Taking inputs from the seed team behind MongoDB application, it covers major areas such as application design, implementation, optimization, data safety, and administration. This book moves from development tips to the business aspect of applications designed with MongoDB integrated in it. It tackles various modern day domains such as ecommerce sites, online gaming, social networking, and operational intelligence. It helps businesses decide what features of the NoSQL database to use for maximum benefit. This short book shows how to gain the best of both worlds - PHP using MongoDB. Right from creation, administration, diagnostics and libraries, to more advanced topics such as sharding, MapReduce and replication, the Chief Solution Architect at 10gen (the company behind MongoDB) shares knowledge on all this and much more. Do write in to us and let us know if you have a favorite not listed on this list. Harry is a web industry specialist having keen interest in reading novels and writing tech blogs on diverse topics.Currently, He is associated with Techiesindiainc, specializing in Website Design And Development .